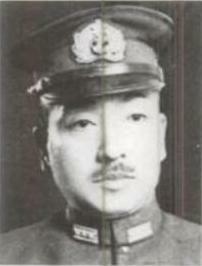 Miwa Shigeyoshi was a rear admiral in command of Submarine Squadron 3 at the outbreak of the Pacific War. His boats formed part of the submarine force that tried to draw a net around Pearl Harbor following the aerial attack on 7 December 1941. He was promoted to the rank of vice admiral and command of the 6 Fleet, Japan's submarine fleet, on 13 July 1944. By then, Japanese submarines were taking catastrophic losses to United States destroyer flotillas equipped with sophisticated antisubmarine equipment and directed to their targets by the code breakers. Miwa was an advocate of the use of Kaiten manned suicide torpedoes from December 1944 onwards. However, he was replaced as commander of 6 Fleet in May 1945.